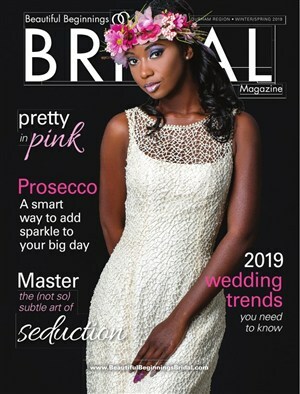 The Durham Region Bridal Event & Fashion Show is the largest showcase of quality and award-winning vendors with thousands of commited brides visiting each year. 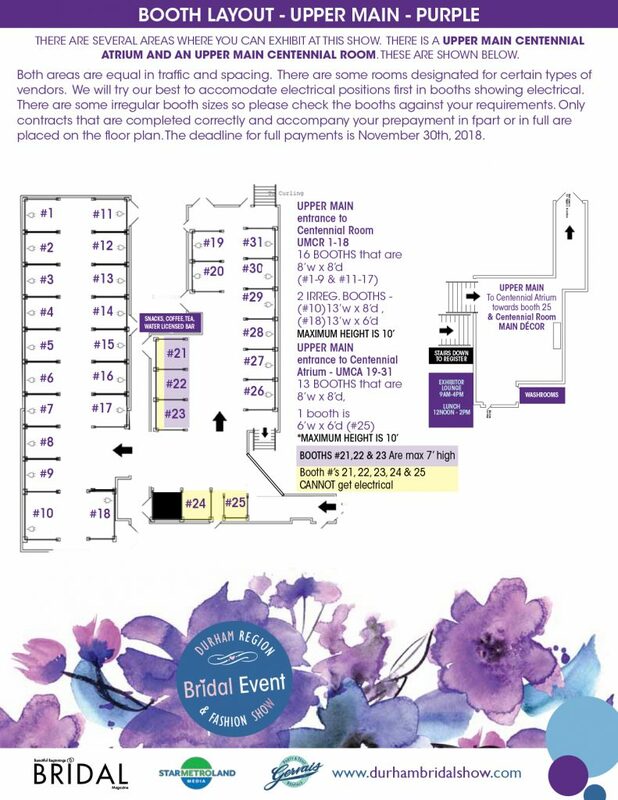 Looking to have a booth at the 2019 show? Take a look at and download our 2019 Exhibitor Package below for the complete information regarding applications, floor plans, advertising, rules & regulations, and important deadlines. 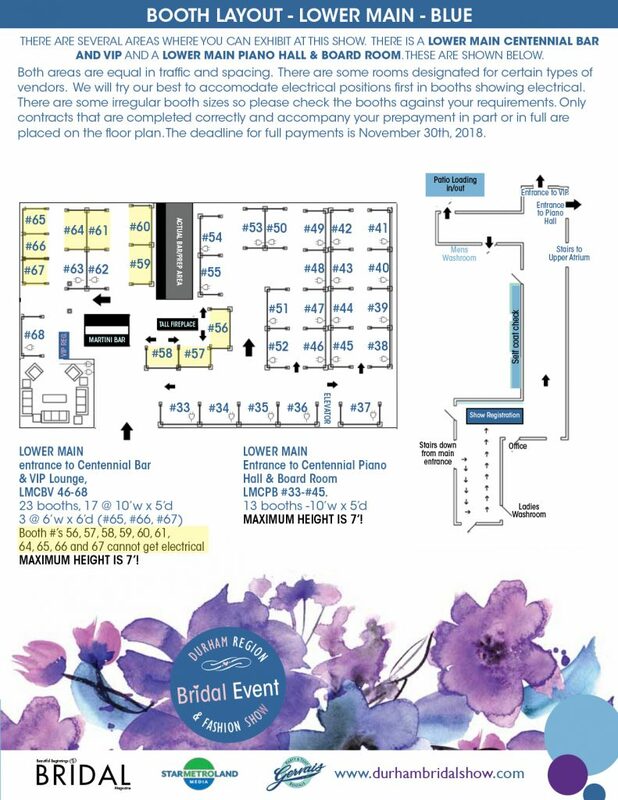 Full payment for booths is due on November 30th, 2018. There are several areas where you can exhibit at the show, as shown below. There is a Lower Main Centennial Bar and VIP, Lower Main Piano Hall & Board Room, Upper Main Centennial Atrium, and an Upper Main Centennial Room. From the East: Take the 401 to Oshawa. Take the Simcoe Street exit in Oshawa. Travel north towards Adelaide Avenue. Make a left onto to Adelaide. The first street on the right is called Golf Street. Make a right hand turn. Follow Golf Street down and around the bend turning left at the end of the street. You will be on Alexandra Street. Follow the signs in. From the West: Take the 401 to Oshawa. Take the Simcoe Street exit in Oshawa. Travel north towards Adelaide Avenue. Make a left onto to Adelaide. The first street on the right is called Golf Street. Make a right hand turn. Follow Golf Street down and around the bend turning left at the end of the street. You will beon Alexandra Street. Follow the signs in.